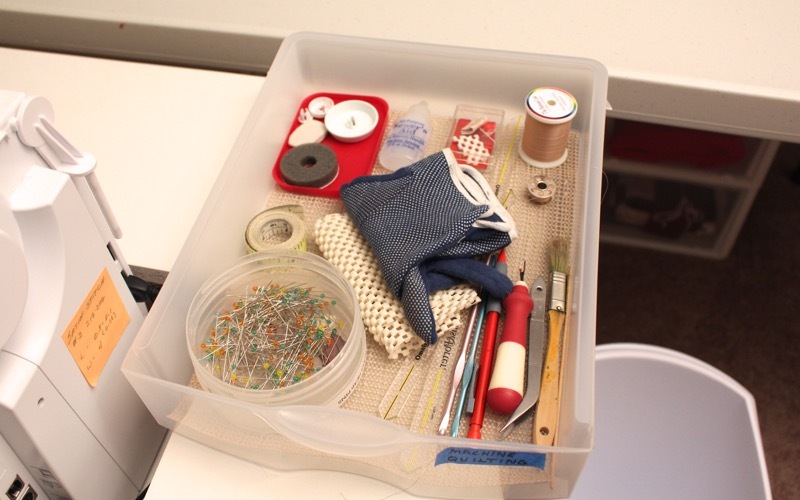 This process will only take you a few seconds - and you’ll have everything you need to begin sewing and put everything away when you have finished. would like to share my favorite technique for corralling all of those small but essential tools of our obsession. My husband accuses me of being a serial organizer. Hmmm. He may be right but if I can’t find what I need easily when I sit down to sew, then the journey from a great idea to a finished project can be very frustrating. This process will take you only seconds have everything you need to begin sewing and seconds to put everything away when you have finished sewing. And you always know where everything is because the kitty can’t get to anything! How is that for awesome? 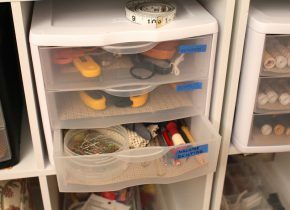 I use rubberized shelf liner in the bottom of the drawer and small boxes to organize the items so they don’t slide around in the drawer and are always easy to find. 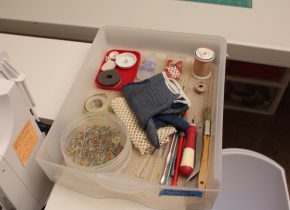 I also place the thread and additional bobbins that will be required for the current project in the drawer. 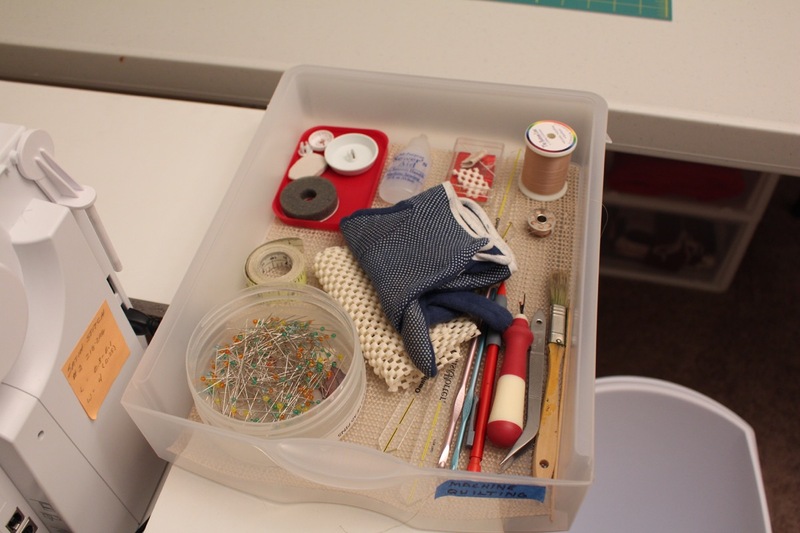 When I am ready to sew, I remove the drawer from the three drawer unit and place it next to my sewing machine. When I am finished for the day, I slide the drawer back into its resting place, cover my machine and I am finished. 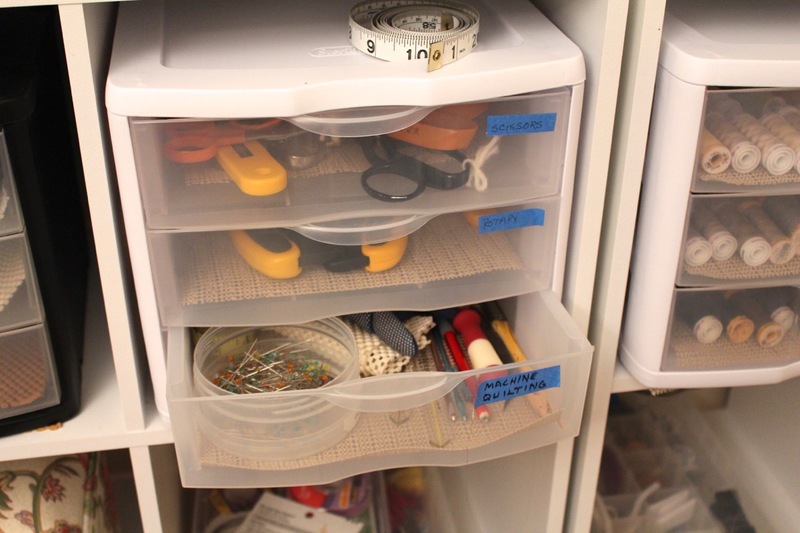 Give this little drawer a try and see how it works for you. And remember to give yourself permission to play every day.